Gaudenzio Ferrari, person at the center of local pictorial history, is one of the many threads which joins Varallo to Vercelli; exploring the landmarks of his life is without a doubt an unforgettable experience which combines art, history and territory. This artist, considered the greatest exponent of the Piedmontese school of painting of the 16th Century, stands out for his original and refined style, the result of his training in Lombardy and central Italy, among the echoes of Leonardo da Vinci and newer trends of the Renaissance. Start in the morning in Vercelli, where Gaudenzio worked for the first three decades of the XVI century and left works of inestimable value, such as the San Cristoforo Church, a structure of ancient foundation which was then frescoed by Ferrari. This structure is so great that it has become known as the "Sistine Chapel of Vercelli.” The alterpiece known as the "Madonna degli aranci" and the cycle of the Stories of Mary Magdalene and the Virgin Mary are preserved here. In a panel with the Adoration of the Magi, the artist most likely portrayed himself; the identifiable character in the right gazing towards the visitor. Other important frescoes are still visible today in the San Giuliano church, which is home to another Adoration of the Magi, a theme dear to the painter and is depicted here with a strong dramatic tension. To fully understand what Gaudenzio Ferrari did in Vercelli and how then his style influenced the local school, we recommend you visit the Museum "Borgona". Known as one of today's most important art galleries in Piedmont, the museum holds many of the frescoes, altarpieces and paintings related to Ferrari and the representatives of his prolific school, in particular Giovenone and Lanino.  About an hour from Vercelli, you'll arrive in the Valsesia. This is where Gaudenzio Ferrari left his most precious works, in this valley surrounded by woods and the Alps. Although Valduggia was his hometown, a small town almost at the entrance of the valley, there are just few traces of his work; a nativity scene painted in the Parrocchiale di San Giorgio and some of the frescoes in the nearby Cappella di San Rocco. Continue on for another 30 minutes until Varallo. Here you'll find Ferrari's most important masterpieces. First and foremost are the frescoes and statues of some of the chapels of Sacro Monte, designed and completed between the XV and XVII centuries, and since 2003 has become a UNESCO heritage site. Among the most famous are the Adoration of the Magi and the Crucifixion, where Ferrari perfectly merged the three-dimensionalcomponent of the statues with that of the painted wall, creating a realistic depiction and great pathos. Equally valuable are the sublime frescoes of 1513 in the 15th century church of Santa Maria delle Grazie which were painted on the wall separating the presbyters from the congregation; 21 panels depicting scenes from the Life of Christ. If you find bad weather or simply because you want to, in the center of Varallo you can visit the Pinacoteca (art gallery), where you can explore additional pieces by Gaudenzio Ferrari thanks to the numerous pieces exhibited and where you'll be able to compare them with the works of what was once the Valsesian School.